WASHINGTON — The F-35 Joint Strike Fighter on Wednesday flew its final developmental flight test, effectively capping off the development phase of the program 11 years after the aircraft took its first flight in 2006. The F-35, built by Lockheed Martin, will now move into operational test and evaluation conducted by the Pentagon’s independent testing office. Once finished, the systems development and demonstration (SDD) portion of the program will be officially complete and the F-35 will enter full rate production. That test point — during which the Navy test aircraft CF-2 collected data while carrying 2,000-pound GBU-31 Joint Direct Attack Munitions and AIM-9X Sidewinder missiles as an external load — occurred on April 11 at Naval Air Station Patuxent River, Md. 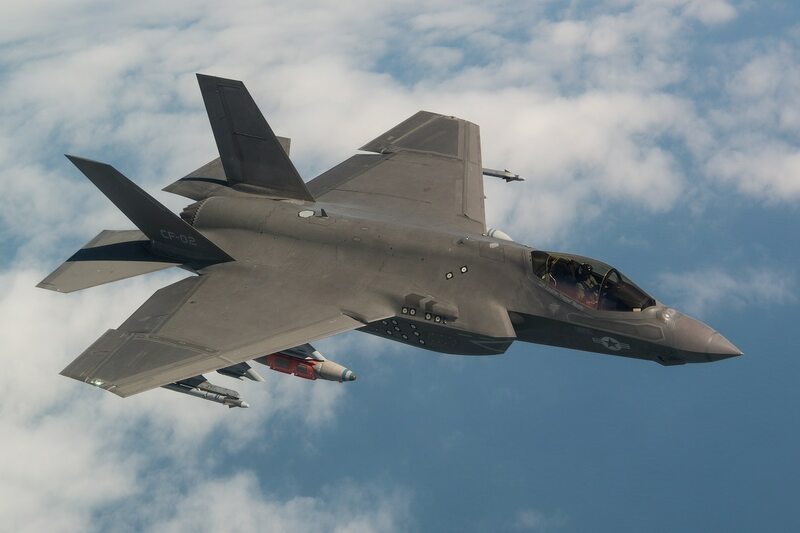 Over the entire test program, the JPO was responsible for “conducting more than 9,200 sorties, accumulating over 17,000 flight hours, and executing more than 65,000 test points to verify the design, durability, software, sensors, weapons capability and performance for all three F-35 variants,” Winter said in a statement on Thursday. 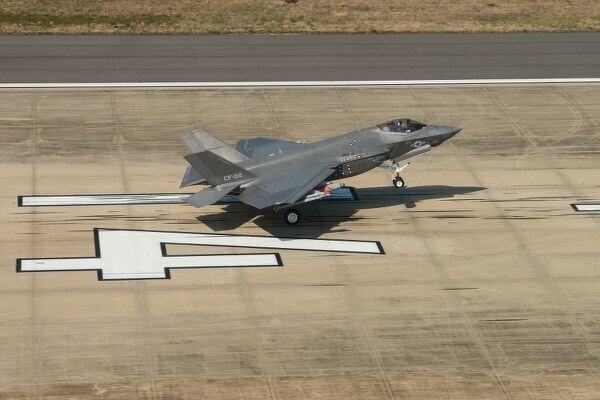 During the SDD program, the program completed more than 1,500 vertical landing tests of the Marine Corps’ F-35B short takeoff and vertical landing variant, and conducted six periods of at-sea testing with the F-35B and F-35C carrier variant. It also carried out 183 weapon separation tests and 46 weapons delivery accuracy tests, as well as 22 mission effectiveness tests that weigh the F-35’s abilitiy to stand up to advanced threats in multi-ship engagements of up to eight joint strike fighters, the JPO said in a statement. However, it has not been without its roadbumps. Cost overruns led to a Nunn-McCurdy breach in 2010 that forced the Defense Department to assess whether it should continue on with the program. And although the JPO has gained better control overall on development, production and sustainment costs, there were a couple high profile technical problems including engine issues that started a fire and kept planes from going to Farnborough Airshow 2014 and an insulation supply defect that caused some jets to be grounded in 2016. The latest problem, revolving around corrosion in fastener holes, has been resolved technically, but the JPO and Lockheed still are disputing who should pay for the fix. The Defense Department has stalled deliveries until then. Although SDD flight tests have ended, F-35 flight testing will continue as part of follow-on modernization efforts called Continuous Capability Development and Delivery, or C2D2, the JPO stated in a news release. However, that strategy has also been somewhat controversial. When Winter unveiled the strategy during the Defense News conference in September, he said its use of agile software development would help the program continuously adopt new software updates and improvements. But critics say that C2D2 allows the JPO to claim they’ve delivered fully combat capable jets with 3F software and push fixing minor software deficiencies to later in the program.